Service Dogs need space to work. But they’re not getting it from us. Turns out, off leash dogs and dogs on retractable leashes, not to mention humans with no boundaries, are an epidemic for people who depend on Service Dogs. The intrusions range from minor (people who want to pet their Service Dogs) to major (loosing their balance and falling when their Service Dog gets chased by a dog on a retractable). And then there are life altering encounters. Attacked by a “friendly” off leash dog, Kristel and her Service Dog, Murphy, had their world turned upside down in a single moment. People who depend on their Service Dogs for their lives should not be harassed, chased, intruded upon, or attacked because people are too ignorant or irresponsible to control themselves or their dogs. 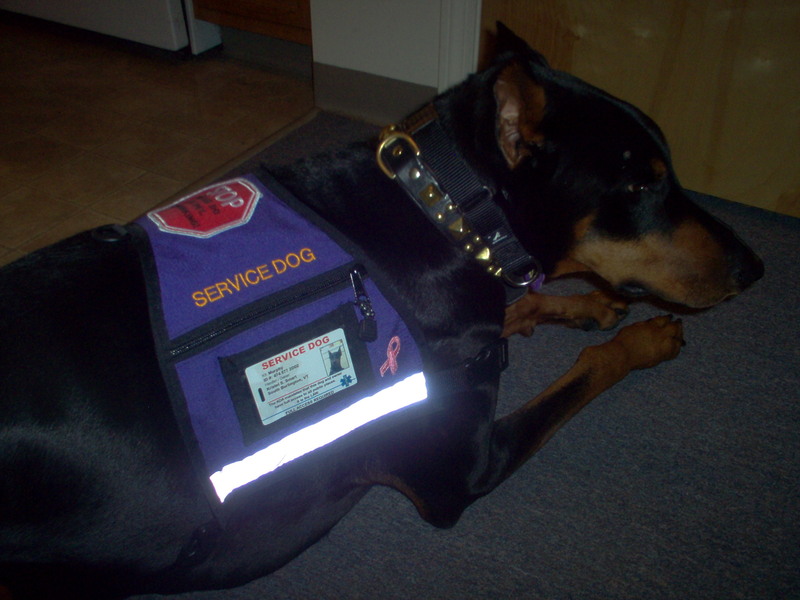 All of us, whether we have service dogs or not, deserve to live in a safe, respectful environment. We can create that type of community by not making poor choices and assumptions that could cost a dog or person their entire quality of life.